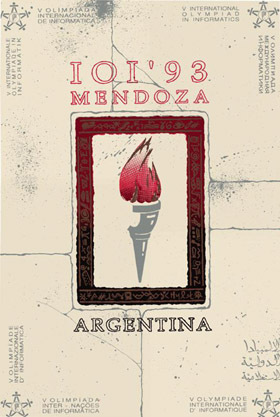 Few days before the competence a larger group including Alicia Bañuelos, Juan Carlos Marini, Carlos Mendioroz, and many others took the road from Buenos Aires to Mendoza. I was riding with José Jalil who was leading the evaluation team. With José we did some work together when the first UUCP gateway at the Secretariat of Science and Technology was being installed. It was a long drive but I had a lot of fun with José, much more when night time arrived and we were both trying to guess where the heck was the road !! !, it was pitch-dark and we were like in the middle of nowhere trying to follow the stop lights of Juan Carlos truck. We arrived safely but without much time to relax, there was a lot of work to do to get those 400+ machines in their places and ready for the competence. The main venue for the Olympiad was the Convention Center, there we had four rooms where we installed over 200 computers for the participants. 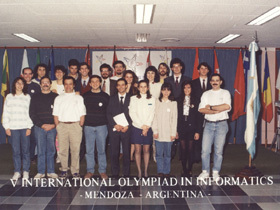 The Government of Mendoza provided a lot of support and help to make the Olympiads a real success. All the furniture, electrical and phone lines were being put in place and we were able to have everything working and ready on time. Each participant had its own computer and each position was identified by the flag of the country she/he was representing. There was also a room for the delegations and team leaders of each country. In this room we put together a network of about 60 workstations running Windows for Workgroups with access to several printer and file servers, and a Unix server with a connection to the Secretariat of Science and Technology in Buenos Aires for access to Internet electronic mail. 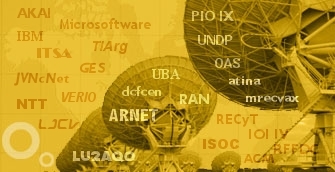 It was the very first time that a IOI competence had access to this type of facilities. We installed another 50 computers in one of the meeting rooms in the Hotel Aconcagua where most of the delegations were staying. We also installed several computers to support the work of the different committees and the competence authorities. Click here for more pictures of IOI'93.